There was no surprise at the recently held gala awards of the Portuguese Canoe Federation in Coimbra. 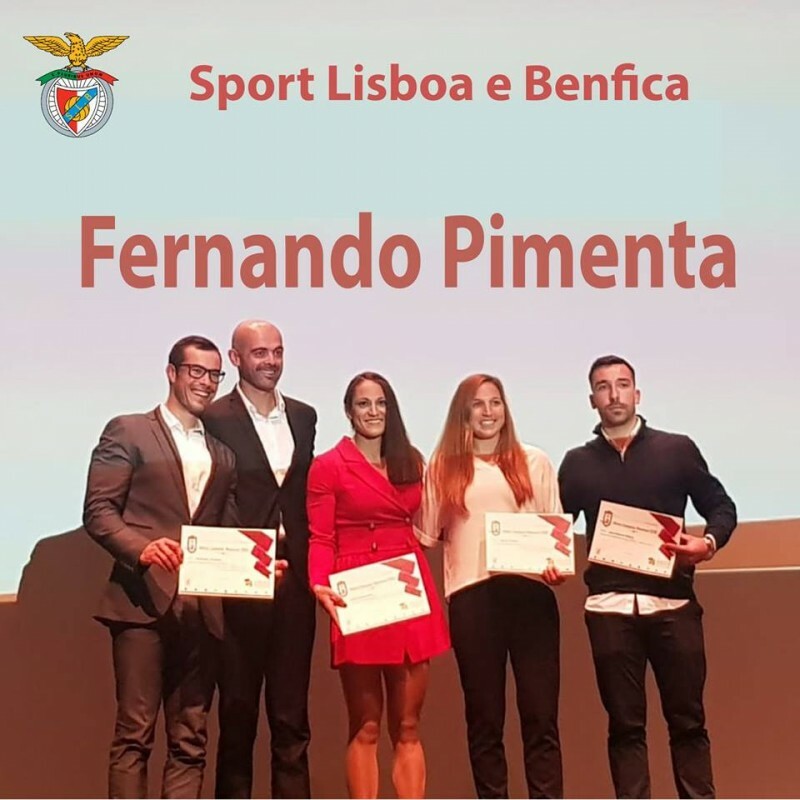 European and World Champion Fernando Pimenta was named best male athlete of the year, while Maria Rei received an award for the best female competitor of the year. The year 2018 was a memorable one for Portuguese Canoe Federation in a sense of sporting success as well of very successful organisation of two major canoeing events – Canoe Sprint and Paracanoe World Championships and Canoe Marathon World Championships. 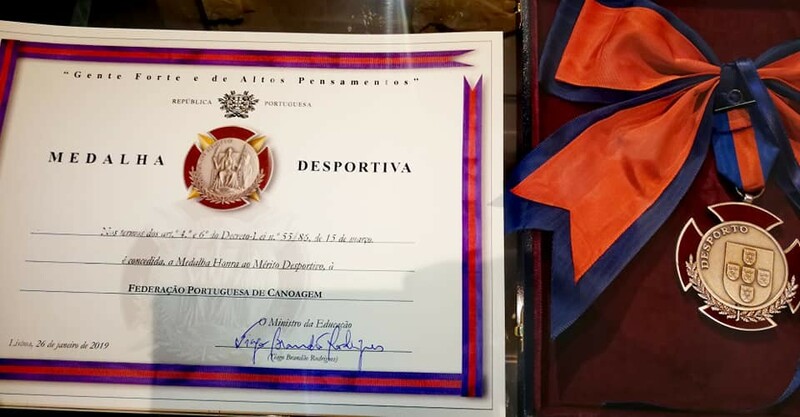 During the annual gala the Portuguese Canoe Federation received an order of merit for sporting achievements. The highest national sporting award in Portugal was given to the federation by Tiago Brandão Rodrigues, Minister of Education, who said, “This medal is yours and is the medal for all that this country owes to canoeing.” While president of the federation Vitor Felix pointed out in his speech that this is “a recognition of work developed by the canoeing family. This act of the Portuguese government was a pleasant surprise”. The award for the best paddler of the season 2018 went to canoe sprinter Fernando Pimenta who excelled at European and World Championships last year. He first won European Champion title in the 1000 metres event in K1, and added silver and bronze medal from the European Championships in Belgrade in the 500 and 5000 metres events. He won two World Champion titles in front of his fans at the World Championships in Montemor-o-Velho. While being presented the award the crowd welcomed him with a standing ovation. He was not the only one though who received big applause from the audience. Jose Ramalho, last year’s canoe marathon European Champion, received a Fair Play award for his persistence at the World Championships that was held in Portugal. Despite the equipment failure he fought until the end of the race and showed real determination. Last year’s Junior World Champion in the 1000 metres event Maria Rei received an award for the best female athlete of the year. Coach of the year is Helio Lucas, Young Hope award of the year went to Messias Baptista who was a part of the K4 500 meters crew at the World Championships in Portugal, while Joana Vasconcelos and Teresa Portela received an award in team of the year category. This duo won the European Champion title in women’s K2 200 meters event in Belgrade. During the ceremony in Coimbra, a city which will host this year’s ECA Canoe Polo European Championships, more athletes and clubs received recognitions for outstanding sporting achievements at national and international level.